January 21, 2014--Finished all lessons and Santa looks very jolly with those light bulbs on his hat. 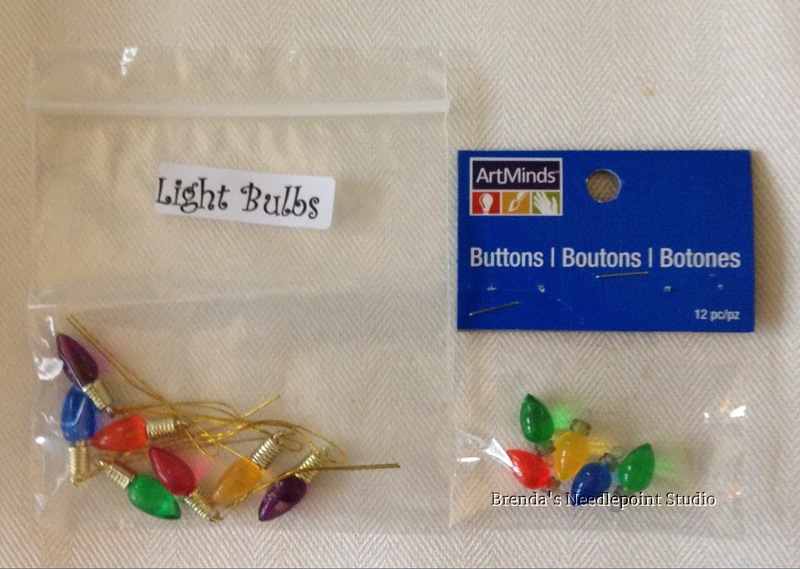 As another stitcher had done, I too purchased smaller "bulbs" than those included in the kit. Found them at Michaels and was told this is an item they carry all year in their buttons group. At my store in Rehoboth Beach, DE, they were located near the jewelry making supplies. First finish for 2014. Yay! December 30, 2013--Done with Lesson 3. Santa's looking good. I used dark red thread to attach the beads. Since I like stitching beads on canvas over two threads, the white nymo was showing. The red thread can be seen, but only if looking from the top or bottom. Looking forward to Lesson 4. December 25. 2013--Lesson 2 is done. Santa's coming alive now that his beard and most of his hat are done. This is such a delightful project to work on. 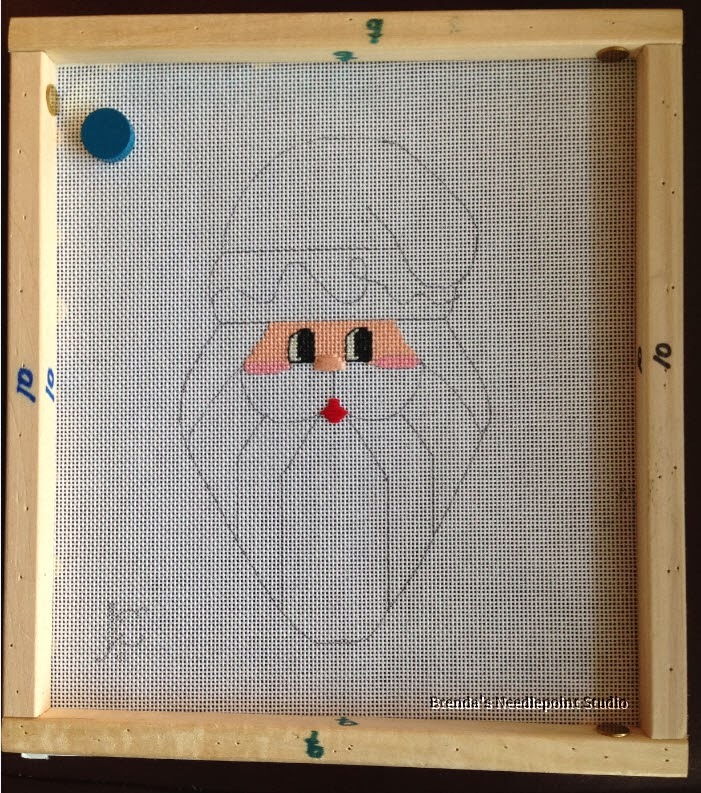 But must admit, had a hard time stitching the beard so that the drawn lines on the canvas wouldn't show. Had to "punch" into adjacent stitching to cover the lines. Succeeded for the most part. 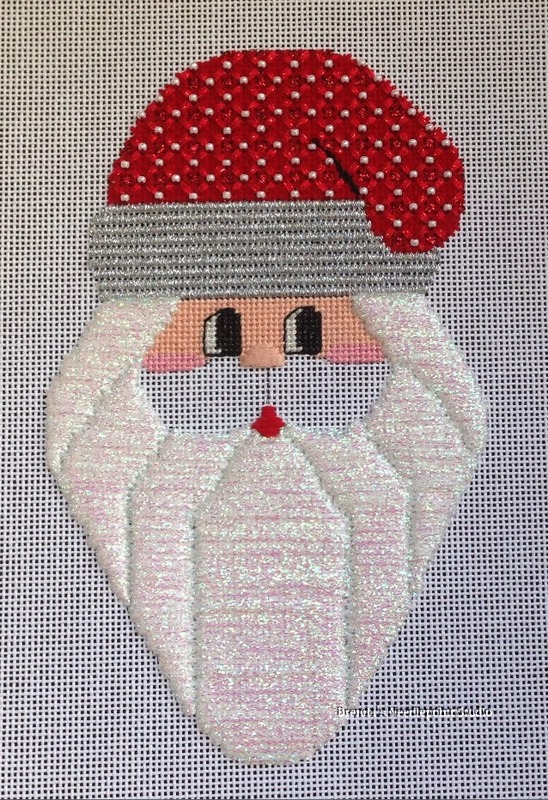 Since it'll take a another week to get santa finished, I want to wish everyone a very Merry Christmas and a Happy New Year filled with lots of fun stitching. 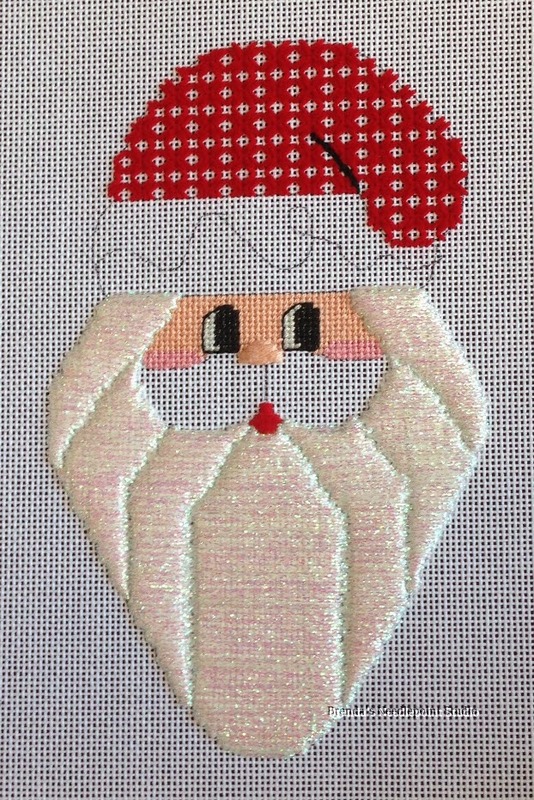 PS--back stitched over the top of santa's cheeks to hide the canvas black line which was showing . Worked nicely. December 21, 2013--Lesson 1 done. Noticed that I didn't properly stitch over the drawn lines of the cheeks, so the line is showing. Wonder if some backstitching on both cheeks (using the same color thread as in the cheeks) would work? 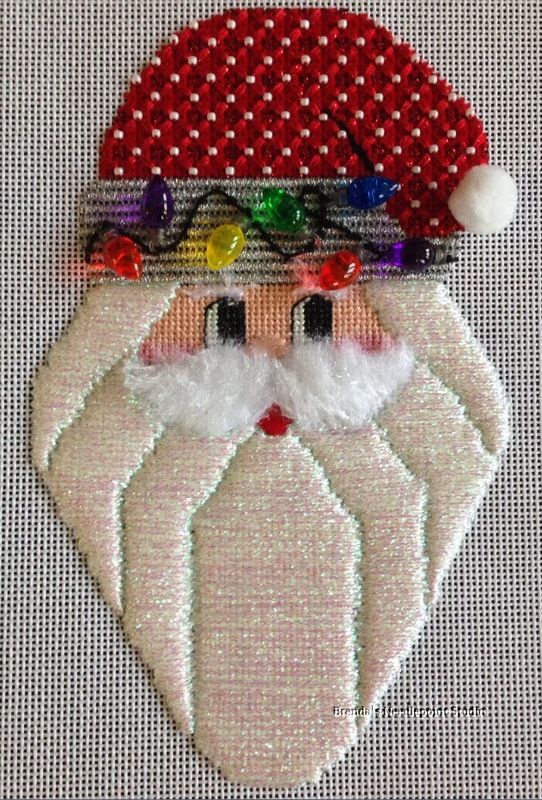 November 6, 2013--I love Janet Zickler Casey's santas and am excited to take the new online class from Shining Needle Society (SNS) beginning December 9th called Christmas Light Santa. This santa is identified as the 17th in the series. I understand SNS will be offering some of Janet's older santas and I'll certainly collect them as they are made available. The only other santa I have so far is Candy Cane Santa.